As Silverdyke Caravan Park is located near the picture perfect fishing village of Anstruther, it seems appropriate that there are local fishing locations to accommodate all tastes and abilities making it the perfect loaction for fishing breaks. Whether you are a seasoned fisherman or just fancy a lazy day relaxing in the sun with your fishing rod, we have got something for you within easy distance of your caravan. There are a number of chartered fishing vessels doing daily angling trips out of Anstruther, starting from May and running throughout the summer season. Most can be taken directly from the harbour. Many will allow you to hire rods and purchase tackles and bait directly but you are also welcome to bring your own fishing gear. Prices vary depending on the size of the group. Anstruther Pier is a popular salt water location for fishermen throughout the year. In the summer, you will be able to catch coalies, wrasse and codlings. Anstruther pier is a safe introduction to saltwater fishing for inexperienced fishermen and children. Another popular fishing location within easy walking distance of our Caravan Park, Cellardyke Rocks is a prime location for sports fishing during the summer months. Located just off the coastal path, Elie Harbour is a challenging location for experienced fishermen. A great spot for catching coalfish and codling, it is also a good place to visit if you are interested in night fishing. A popular summer fishing location with several fishing marks. Enjoy a leisurely day fishing for codling and wrasse. 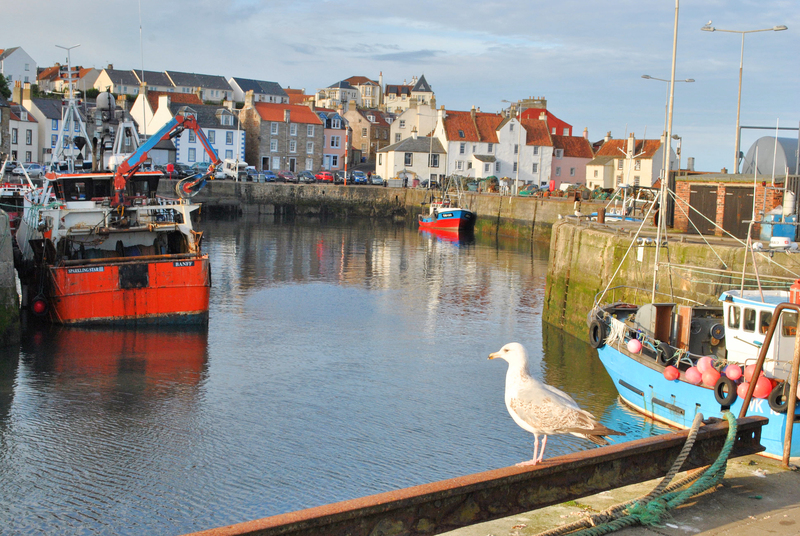 East Neuk remains a stronghold for both commercial and leisure fishing in Scotland. Visit us at Silverdyke Caravan Park for a holiday or luxury short break and enjoy some productive and relaxing days with your fishing rod. For booking availability or more information on fishing breaks in Fife, send us an email through our online contact form or give us a call on 01333 313098.